Overflow for each service is in our new student worship center. WorshipCare will be available for ages birth to 3 years old at all services. Watch for signs and directions as you enter the campus. Our Parking Lot team will gladly help you park and enter the building safely. If you're a volunteer, help us make room for our guests on Easter Sunday by parking in the Volunteer lot, or consider using our off-site parking at The Reserve. Shuttles will bring you to and from the church. Don't worry! We've got you covered. We'll offer WorshipCare for children from birth to three years old in each of our four services. If you can help with our Parking Team, Greeters, or Ushers, we can use you. You don't have to be a part of these teams already. 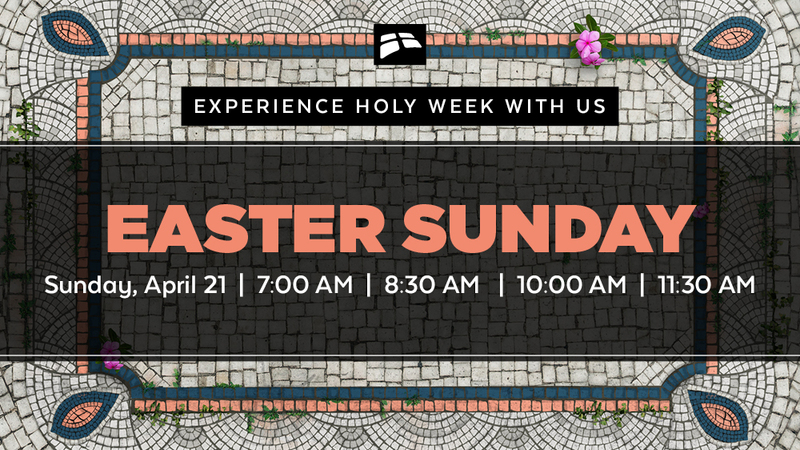 Even if you can only serve on Easter, let us know! 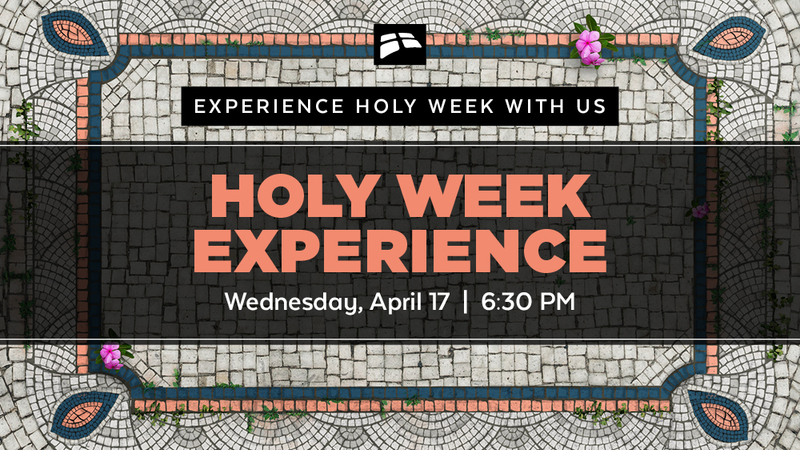 Join us for Holy Week Famly Night on April 17 from 6:30 pm to 7:45 pm. 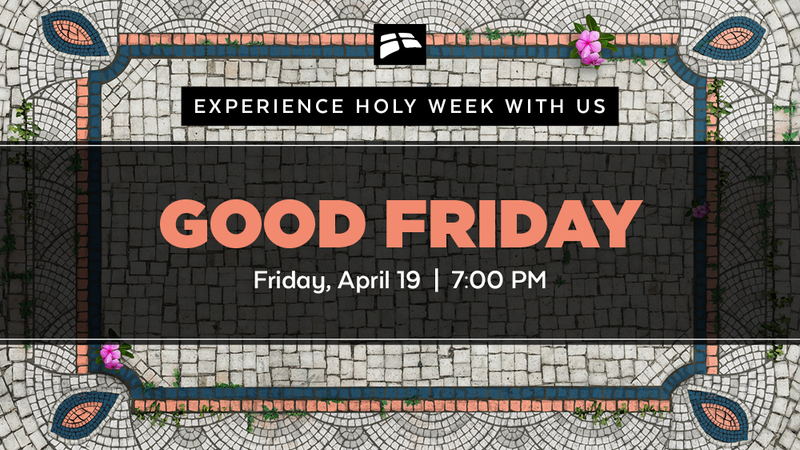 Enjoy an outdoor Marketplace experience for the kids, followed by a church wide worship gathering where we’ll serve the Lord's Supper.